Did Meredith manage to break a hospital record? 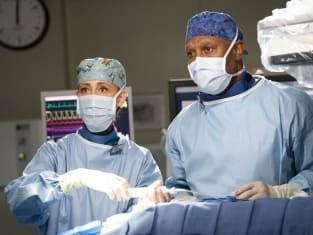 On Grey's Anatomy Season 15 Episode 14, the surgeon found herself in a precarious position as she geared up to elevate her career to a new level. Meanwhile, a massive overdose within the community left Grey Sloan Memorial's staff at odds over how best to treat everyone. Elsewhere, Jackson asked Maggie if she would go camping with him. However, her response left him with a lot of thoughts. Finally, Levi and Nico continued to navigate their new relationship. Who tried to drive a wedge between them?